At the Airshow China event, a few new details on the Chinese tank VT-5 were released. The combat weight of the tank is claimed to be between 33 and 36 metric tons, depending on fitted armor package. 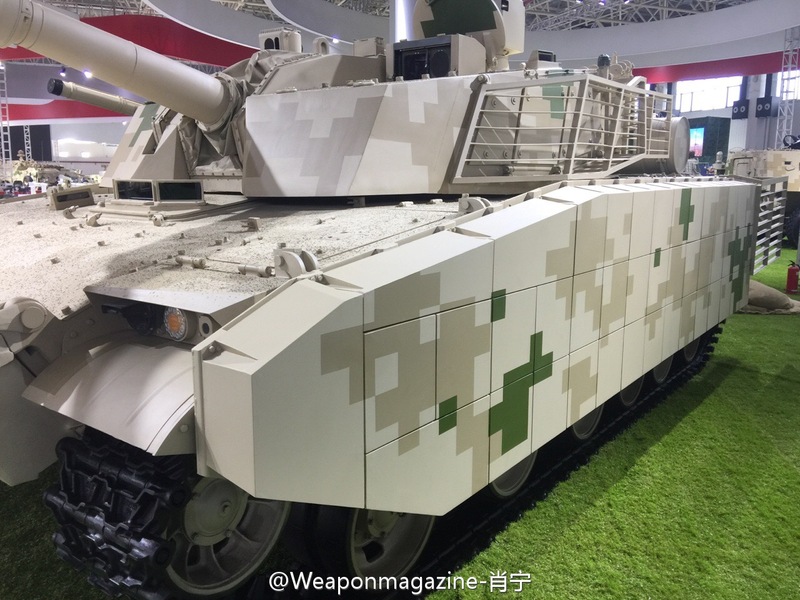 Two different armor configurations for the VT-5 are currently being offered by Norinco, one optimized for conventional combat and one fitted with enhanced side armor protection. The armament is confirmed to be a conventional 105 mm rifled gun, which is fitted with a thermal sleeve, a fume extractor and a bustle-mounted autoloader. Together with the computerized fire control system, the effective combat range is claimed to be 3,000 metres or more. The stabilized gun can be used stationary or fired from the move without affecting the accuracy of the VT-5. A remotely controlled weapon station (RWS) serves as secondary armament. In terms of size it is supposedly comparable to most normal MBTs, being 2.5 metres tall and 9.2 metres long, when the gun is facing forward. The width is depending on the armor configuration, when fitted with the ERA and slat armor combination seen at Zhuhai, the VT-5 is supposedly 3.3 metres wide. Thanks to a powerful engine with an output of 1,000 horsepowers, the VT-5 is believed to be extremely mobile. The power-to-weight ratio is between 27 and 30 hp/ton depending on the armor package. 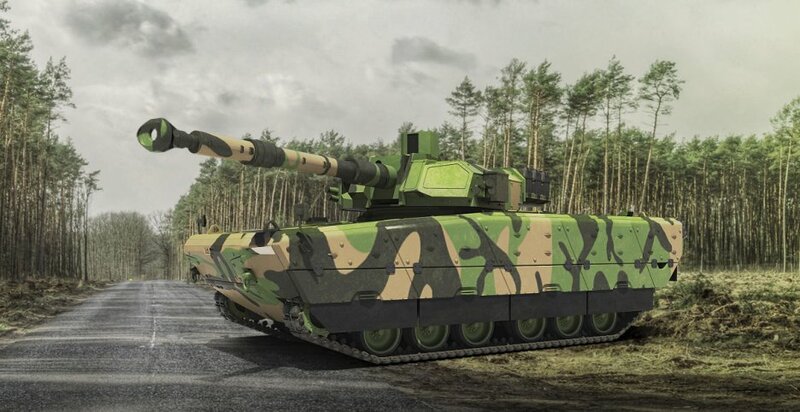 The Turkish company FNSS and the Indonesian state-owned defence company PT Pindad are developing a light tank for the Indonesian Army's Modern Medium Weight Tank (MMWT) project. The winner of the Indonesian program is expected to deliver an inital order of 50 vehicle, on the long run order could be increased to 400 vehicles. FNSS is owned by 49% by the British defence company BAE Systems. The MMWT is based on the FNSS-designed Kaplan infantry fighting vehicle (IFV) chassis, which seems to be the first proper own design; previously the company relied on licence-producing and modifying existing vehicles such as the M113 and the GPV Colonel (known as PARS in Turkey). The hull for the MMWT has however been redesigned - while the Kaplan has it's engine mounted in the front of the vehicle and the rear of the vehicle is used for a dismount compartment fitted with a rear ramp, the MMWT has a rear-mounted engine. The turret for the MMWT is provided by the Belgian company CMI Defence, part of the CMI Groupe. The exact turret used on the MMWT is not being disclosed, but based on the model and 3D renderings, it seems to be a version of the modern Cockerill CT-CV 105HP turret fitted with a coaxial machine gun and a 105 mm gun. Currently it is not known if a standard 105 mm rifled gun or CMI's Cockerill 105 mm high pressure gun. Aside of firing the standard range of NATO 105 mm ammunition, the latter is also capable of firing the Falarick anti-tank guided missile with 5,000 metres range, which has been co-developed by CMI and the Ukranian company Luch, aswell as the M1060CV APFSDS with increased chamber pressure, which is capable of perforate a 280 milimetres armor steel plate sloped at 60° (560 mm steel armor along the line of sight) at 2,000 metres distance. The Falarick ATGM uses a shaped charge warhead with more than 550 milimetres penetration into steel armor. The MMWT is fitted with a currently unknown type of engine, which according to a FNSS spokesperson at Indodefence 2016 gives the vehicle a power-to-weight ratio of about 20 hp/ton - this would imply a maximum output between 640 and 700 horsepower, given the projected weight of the MMWT being between 32 and 35 metric tons. Six pairs of roadwheels connected to a torsion-bar suspension are used to distribute the weight along the ground. The road range of the vehicle is 450 kilometres and top speed is 70 kph. The medium tank is 2.7 metres tall, about 7 metres long and has a width of 3.2 metres when fitted with the hull armor modules. Protection is provided by the steel construction and further applique composite armor modules, which are mounted at the front and at the sides of the vehicle. 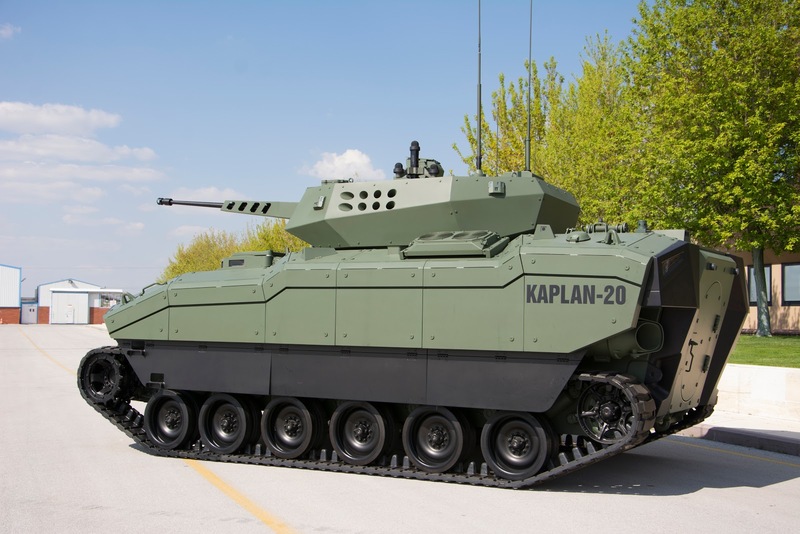 Neither the protection levels of the MMWT nor of the Kaplan IFV has been disclosed yet, but a ballistic protection meeting the STANAG 4569 level 4 or the level 5 standard seems likely. This would mean all-round protection against 14.5 mm AP ammunitions or frontal protection against 25 mm medium calibre rounds. The MMWT is also fitted with a mine protection kit of unknown protection level. Rheinmetall is offering a new version of the Marder medium tank. 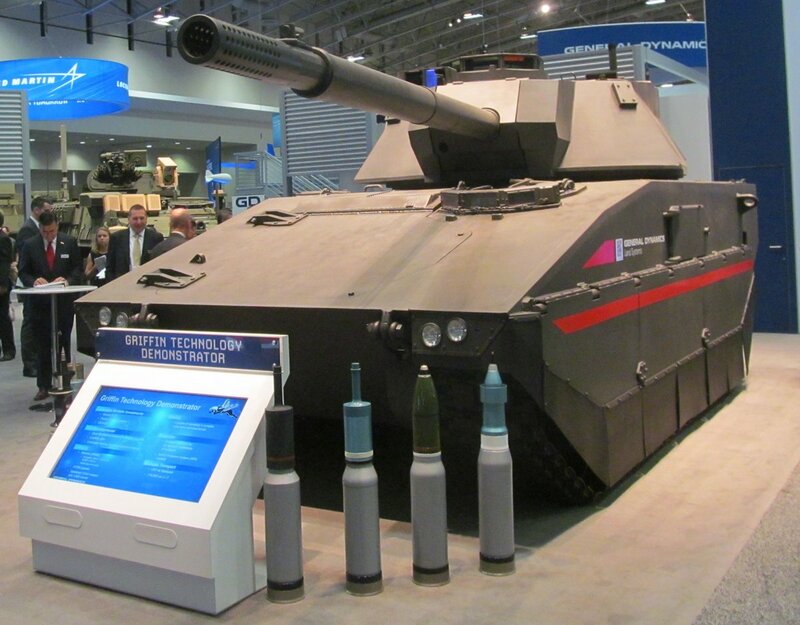 The first model of a modern Marder-based tank was presented at Eurosatory 2012 (nicknamed "Marder Medium MBT") and was a more comprehensive upgrade of the Marder, featuring the Oto-Melara HITFACT turret with a 105 mm rifled gun, thick AMAP composite armor modules for protection against RPGs and EFPs, a mine protection kit and an uprated engine. 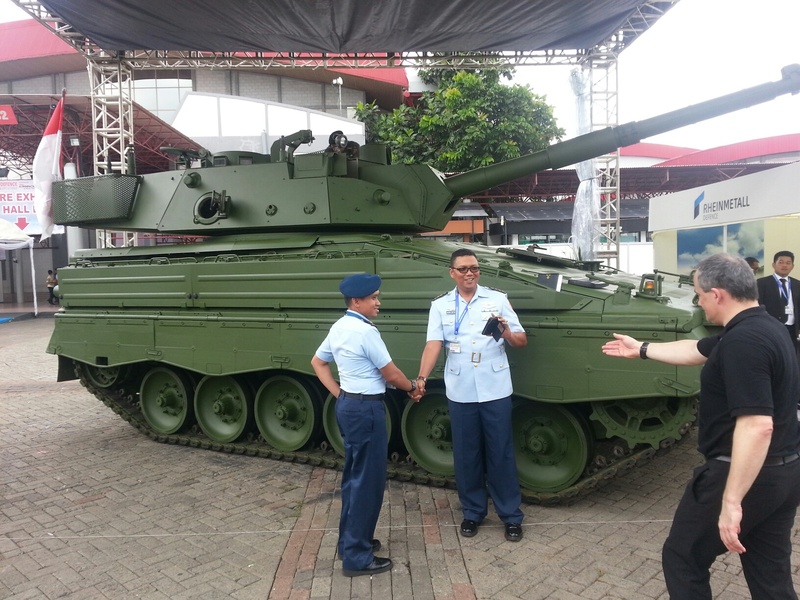 The vehicle is however too heavy for the Indonesian tank program, weighing up to 43 metic tons. The current Marder medium tank is fitted with a HITFACT II turret made by Leonardo, previously Oto-Melara. It is made out of weight-efficient aluminium with bolted-on steel plates for increased protection. The seven tons heavy three-men turret replaces the earlier two-men turret, which was armed with a 20 mm Rh202 autocannon and a coaxial MG3 machine gun in an overhead mount. The original up-armored turret of the Marder 1A3 weighed only 3.2 metric tons. The Marder medium tank is still based on an upgraded Marder 1A3, which features improved survivability compared to the original model. The Marder 1A3 is protected by spaced steel armor, which resisted multiple impacts by 30 mm AP or APDS ammunition from close ranges (400 m). It is not known if the armor is enough to reach STANAG 4569 level 6, but the Lynx IFV (fitted with the same frontal armor, but different side armor) is offered to Australia as part of the LAND 400 Phase 3 competition, which supposedly demands a similar level of protection. Unlike FNSS and Pindad's offering, the Marder medium tank is only making use of proven systems, which already are in service with other militaries. The Marder 1A3 is operational with the Chilean Army, the German Army and the Indonesian Army, while the HITFACT II turret is used on the Centauro II and the previous version on the normal Centauro mobile gun system. The turret can be fitted with an autoloader, if demanded by costumer. However the current version of the Marder medium tank uses a manually loaden gun. The vehicle has a weight below 35 metric tons and features a 650 hp engine for reaching a top speed of 65 kph. The medium tank has a road range of over 600 km, but in heavy terrain this is reduced to only between 400 and 500 kilometres. The Marder medium tank is 3.07 metres tall, 8.48 metres long and 3.35 metres wide. Rheinmetall is offering several other improved versions of the Marder. Aside of the Marder Medium MBT from Eurosatory 2012, there also is the Marder CCV prototype with LANCE RC turret, different configurations of the Marder IFV and the Lynx family of vehicles, currently being offered to Australia. Aside of this the TAM (Tanque Mediano Argentino - "Argentinian medium tank") and the TH 301 are based on modified versions of the Marder IFVs. Currently Rheinmetall is also offering a Marder with modular armor package, an upgraded MTU diesel engine, an improved suspension system and increased internal volume by raising the vehicle's roof. The upgraded engine provides an output of 690 hp compared to the Mader's original 600 horsepower. 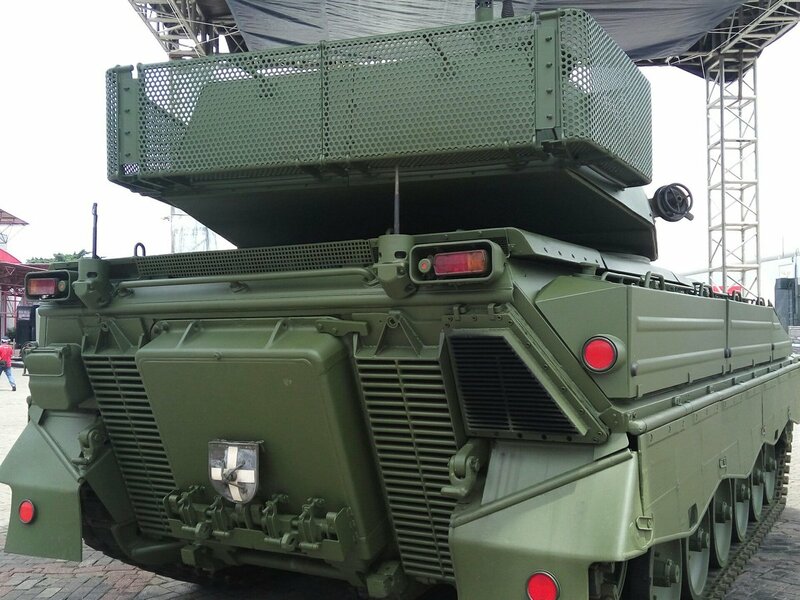 For the Indonesian medium tank project, a powerful air-conditioning system is a key requirement, because any military vehicle without air-conditioning can suffer from fungal growth within a few days when not being maintained and controlled. This is the result of the high humidity in Indonesia. Supposedly officials from the Indonesian Army are favoring a configuration with a two-men turret and autoloader instead of a three-men turret. This would mean that the cooperation between FNSS and PT Pindad has a clear advantage over Rheinmetall's Marder medium tank. In general the vehicle is more modern than the Marder, using state-of-the-art armor technology, and a modern drivetrain and suspension system. The meanwhile the Marder is a late 1960s design, which was upgraded in the late 1980s. However Rheinmetall's Marder medium tank has the advantage of being based on well-proven military-off-the-shelf components. It might be cheaper than the MMWT. The fact that the Marder 1A3 is operational with the Indonesian Army should result in lower lifecycle costs and less infrastructure strains. Both the Marder medium tank and the MMWT from FNSS and PT Pindad make use of off-the-shelf turrets from other companies. These feature 105 mm rifled guns and advanced fire control systems with thermal imagers and separate sights for gunner and commander, which enable the tank to conduct hunter/killer operations. The US Army is looking for a light tank as part of the Mobile Protected Firepower (MPF) program. While members of the US Army in a TARDEC workshop came to favour a lighter vehicle with lower protection level and armed with a 50 mm autocannon, which could be deployed via a C-130 aircraft, the official requirements from the US Army call for a vehicle with a weight of 32 metric tons or below, which is armed with a 105 mm or 120 mm gun. Currently there are two contenders being pushed by the industry: a modernized version of the old M8 Armored Gun System (AGS) from BAE Systems and the new Griffin, a vehicle based on the ASCOD design, under development by General Dynamcis. Both vehicles were presented at the AUSA 2016. It is interesting to see China apparently producing the best light tank design of 2016. Aside of the VT-5, only the outdated M8 AGS is based on a purpose-built light tank chassis. The Griffin, the Marder medium tank and the MMWT are all based on modified infantry fighting vehicles, which leads to a greater size than necessary and an unoptimised shape. The smaller physical size enables the VT-5 to reach a higher protection level - all-round protection against RPGs and at least heavy machine gun ammunition (probably even some medium calibre rounds) in the configuration presented at Zhuhai - without exceeding the weight of other vehicles such as the Marder medium tank and the MMWT. At the same time, the VT-5 has the highest power-to-weight and supposedly a hybrid suspension, combining torsion bars and hydropneumatic systems. Not really. T-72 weighs 41 tons and above. T-90 weighs 46 tons. These light tanks weigh as much as most IFVs do. T72 brings a full power 125mm cannon and plenty more armor protection than any of these above. Even old T55 is better armored at similar weight and cannon. The Marder Medium MBT features thick side armor capable of defeating RPGs with tandem shaped charge warhead, something neither offered by a T-72 and T-90. The vehicles are not quite comparable, because they are optimized for different roles. Still the Marder Medium MBT (and the current medium tanks offered to Indonesia) suffers from having too much surface area, which needs to be armored, a result of their IFV heritage. 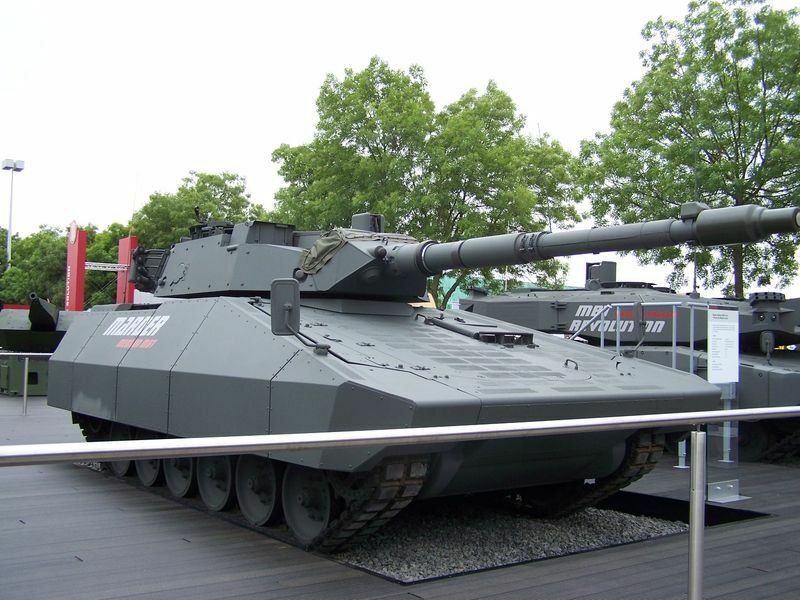 What i believe the Rheinmetall try to beat FNSS(with PT Pindad) Medium Tank for Indonesian Army requirement. However, the Rheinmetall new Medium Tank has been based on Marder chassis which feature new technology and armored. 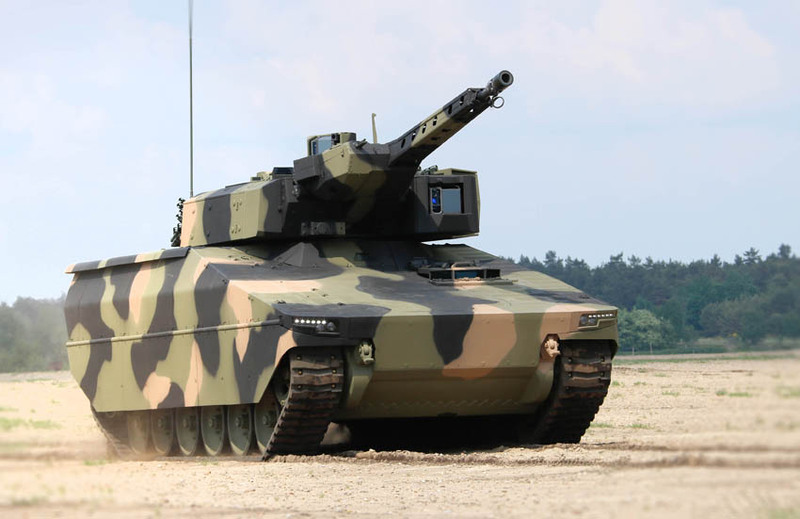 Possibilities the Indonesian MoD won't have any interesting on Rheinmetall Marder Mediun Tank. They prefer new modern medium tank than low cost Cold War vehicle. This trend is fairly understandable. Modern layered, modular, reactive armors offer decent protection in the 30-40 tonne range, especially when combined with ASOP systems. On the other hand, even in the 60+ tonne "mainstream MBT" range, you can't make "indestructible" vehicles anymore, especially when the enemy has modern AT means/ATGMs. Second, in many countries operating 60+ tonne vehicles is simply impossible, while 30-40 tonne range is still viable. It also seems that most makers go for the popular 105mm (synergy with older vehicle/ammo stocks/field artillery logistics - STANAG 4458, less trouble with recoil and weight) and readily-available turret systems, which makes little sense to me. 1060CV AP ammo has decent penetration at 60 degrees, but if you look at the 0 degrees numbers, then you're down to penetration levels of DM33 AT BEST, with ZERO chance to improve... and Falarick is of no significance as AT effector, because its parameters are in the exact same range - with reflected laser guidance. If it was a beam-rider missile with top-attack mode, you could consider that viable, but it has no top-attack mode. Considering these 2 factors, 105mm is NOT VIABLE antitank weapon, unless you use those vehicles EXCLUSIVELY for manouver (chance to side/rear-attack) or against heavy IFVs. However, this means you'll need some mainstream MBTs in the lineup, and this calls for using 120/125mm for joint logistics while addressing the AT effectiveness at the same time... Finally, for direct-fire support, portable RPGs and "real" field artillery will always be more effective. If you're giving away low profile hull like MMWT or Griffin by adopting a IFV hull, then you should make your turret system unmanned, or at least ensure the crew is seated fully in the hull, BELOW THE TURRET RING ;) Then, you can give them maximum security by shoring up hull protection, and shave off weight from the turret. At the same time, this makes it easier to go with 120/125mm smoothbore as primary weapon. Calling quits on "mainstream MBT" armament, the 120 and 125mm smoothbore, is downright silly. This makes the vehicle logistically unacceptable to the armies that utilize mainstream MBTs, or would consider a lighter vehicle to supplement their mainstream MBT lineup. Moreover, such systems are either available (2S25 Sprut-SD) or in late stages of testing and design (CMI XC-8 120HP) - so there's no real reason to NOT use them. Most light armoured vehicles carrying a big gun are not designed to deal with armour. Most of them are designated large calibre fire support at the brigade level though usually attached to an infantry or mech battalion. They are not likely to be used as an armoured spearhead. I know. But it doesn't make sense. For fires, just get a real 155mm Gun, or a 120mm full-angle-range mortar (there's several mortars of that calibre that offer both indirect and direct fire, in addition to range improvements and automation). For quick fire, just give the troops the full range of M72 variants, or Carl Gustav. The former is similiar on price for more effect, and if you don't go for "shooting trucks" you will also have your direct-fire needs covered. The latter offers less firepower, but for infinitely less money spent - even if you choose to integrate thermobaric-tipped ATGM variant.